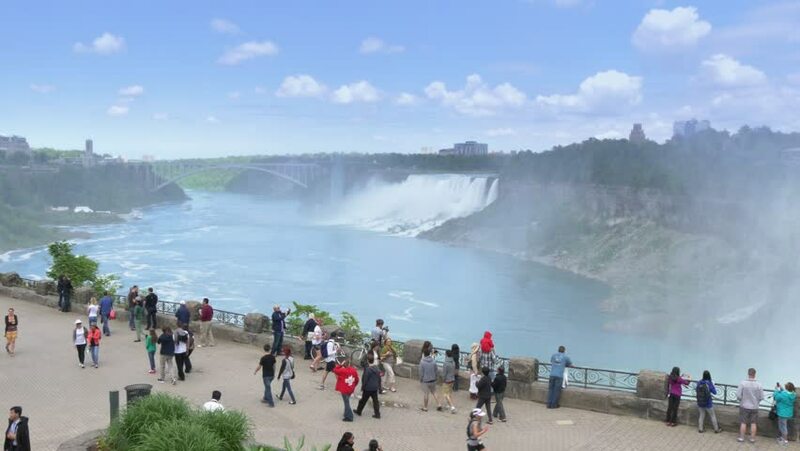 4k00:08NIAGARA FALLS, CANADA - Circa June, 2014 - Tourists gather at an overlook at Niagara Falls in the Canadian side. For editorial use only. hd00:09Powerful misty Niagara River just before the Fall in early morning. hd00:15PITTSBURGH, PA - June 7, 2013 - People gather around the fountain at The Point in Pittsburgh after it was turned back on after nearly three years of being under construction.